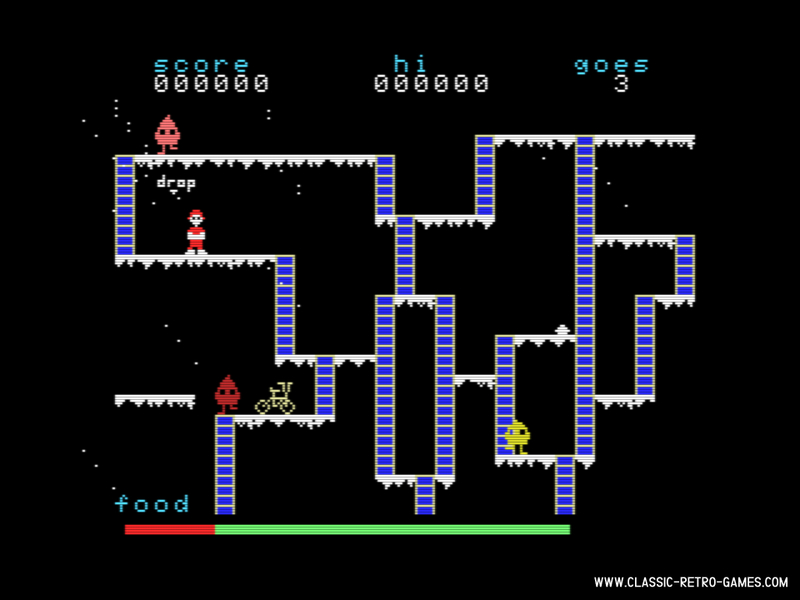 The Snowman was originally released for ZX spectrum, but an MSX follow up was released soon thereafter. 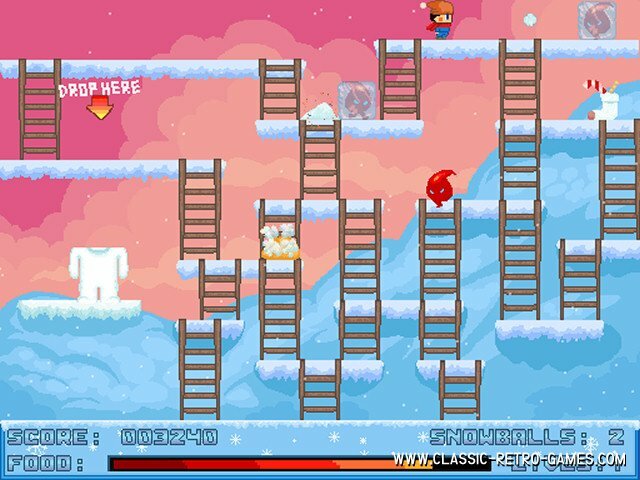 The game has a very common concept of retrieving items (in this game snow, hat, scarf and so on) while running up and down ladders trying not be captured by the enemy (in this game it's flames trying to melt your snow). 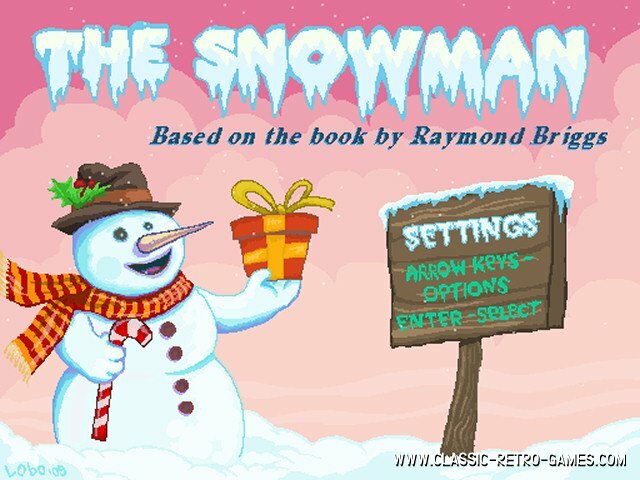 The Snow man however adds a special feeling to this game concept as its story has been based on the famous book by Raymond Briggs. While the game concept and with that also the original retro feeling has been completely kept intact, that's also they only thing true to the original. Tardis' remake has really nice graphics and it only adds to the gaming fun. 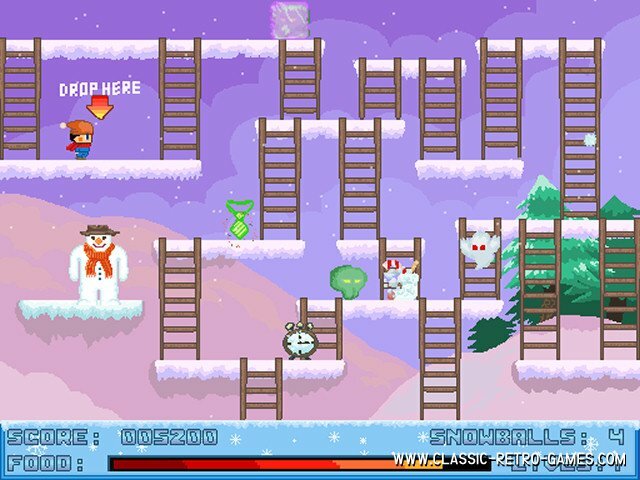 So, enjoy a bit of the nostalgic snowman and download this Windows fan remake of the snowman for your Windows pc now! Currently rated: 3.1 / 5 stars by 21 gamers.